Reiki is not a substitute for taking yourself to the doctor. If you need immediate attention, please call your doctor promptly. "My experience with Inez offering Reiki started one afternoon at work when I felt drained of energy and still had a long way to go before I could go home. In her office, Inez layed her hands on my shoulders for a minute or two. Nothing dramatic happened but after several minutes of reflection, I realized I felt better, even energized. It was encouraging. My next experience came when I was experiencing extreme knee pain and was struggling to walk. Inez was a little hesitant at first, but she agreed to send Reiki to my knee instead of using a hands on approach. During this time I felt a tingling sensation around my knee and it was a very pleasant surprise to find that after I was able to walk with significant less pain. Recently, I underwent surgery on my knee and Inez graciously sent Reiki to me. 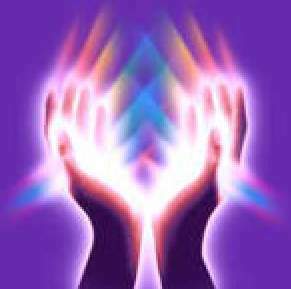 Though I do not understand how exactly Reiki works, I have enjoyed the benefits of receiving it to help promote my healing." ~~ Nichole R.